I am the author of two books on Southeast Asia. South China Sea: the struggle for power in Asia is being published by Yale University Press in September & October 2014. It is the first book to explore and explain the disputes in this crucial area of the world to a general audience. 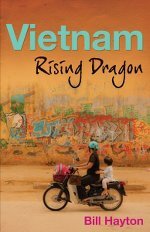 Vietnam: rising dragon was also published by Yale but back in 2010. It was well reviewed and remains the most comprehensive account of the country today, aimed at a general reader. I began my journalistic career with a focus on the Middle East. My first ever assignment, in 1995, was to travel to Iran and interview Ayatollah Ali Akbar Mohtashemi and ask him if he organised the Lockerbie bombing. Sadly he didn’t provide the scoop we were hoping for and the programme was never made. While working for DowJones TV I helped set up and launch and then run the al Jazeera (Arabic) business programme for 18 months. In 1998 I self-shot two 30 minute TV documentaries for BBC News: one about political unrest in Yemen and the other on discrimination against the Beduin minority in Israel. In 1999 I began to focus on European affairs: making a half-hour documentary for BBC News on NATO’s strategic reorientation. In 2001 I moved to the European section of the BBC World Service and covered developments in Central and Eastern Europe as the region moved away from the conflicts of the 1990s and towards integration with the European Union. In 2006/7 I spent a year as the BBC’s reporter in Vietnam and then wrote my book, Vietnam: rising dragon which was published in 2010. In 2011 I began writing my South China Sea book, which was completed during 2013 while I was working in Myanmar. The book will be published later in 2014. I have worked for BBC News since 1998 and currently work for BBC World News TV. In the past I’ve worked in the World Service (Radio) Newsroom, on Radio News Programmes and with the European language services. Before joining the BBC I freelanced for several years at APTN, CNBC, European Business News, and Sky News. During 2013 I spent a year embedded with the state broadcaster of Myanmar, MRTV, both in its remote rural headquarters and in Yangon. I consulted on the restructuring of the organisation and the introduction of new technology and working practices. I helped develop two new TV programmes – both the first of their kinds. One was a parliamentary news programme that included, for the first time on MRTV, interviews with members of opposition political parties. The second was a current affairs programme tackling topics of social concern. I also helped develop MRTV’s radio output and delivered tailored training to producers and reporters. In the past I’ve worked as a trainer for BBC World Service Radio in London and for its reporters and producers in Central and Eastern Europe. I have also provided training for the Media Diversity Institute in Georgia and the British Council in Vietnam. In the UK I’ve worked with RedR (the disaster relief NGO), a regional equal opportunities organisation, Anglia Actives, and also a few local schools. Read your SCMP piece about China’s “non-existent” southernmost island – amusingly tragic – but see that you have a book about the South China Seas forthcoming and would like to know when this will be available (which press)? Would like to read/get it. Thanks for your note, glad you enjoyed the article! The book is now finished and should be published in September. The publisher is Yale University Press. We have just returned from a trip to Vietnam. Our guide in Hanoi was telling us how she had been sent a copy of Rising Dragon by a friend in Canada. She had had it confiscated when she was called to the Post Office to open the parcel. Fortunately we were reading it so let her have our copy. I didn’t realise this was a banned book in Vietnam. Really enjoyed the book by the way, it is a fascinating country. You book was given to me by a Vietnamese friend who had tried to read it but for whom your English was a bit too complicated given her basic language skill. After reading it, I vowed to try to find a Vietnamese translation for her. Thus far, my web search has been unsuccessful. To your knowledge, has it been translated into English? And, if so, can you provide any leads as to where one might find a copy? Thank you in advance for writing the book and for any guidance you can provide. I am your new biggest fan. Thanks for your great note, I’m thrilled that you enjoyed the book so much. I made some tentative enquiries about getting the book translated but ended up getting stuck with copyright and royalty agreements. Some chapters and sections have been translated by different people. For a while the website http://www.talawas.org had a few available but then it got hacked and I’m not sure what happened to the texts. If I find any more, I’ll let you know. welcomed an insight into a country i have visited twice in the last decade or so. I’d like to go back again next year. Do you keep a blog / update along the lines of the book’s remit ? so I feel I can arrive at more informed conclusions. Thank you for your kind words. I am now hoping to keep the website up to date a bit more but my main focus will be on the South China Sea. 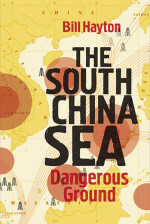 I’ve started a Facebook page for my new book – South China Sea: dangerous ground – which will be published by Yale in September.